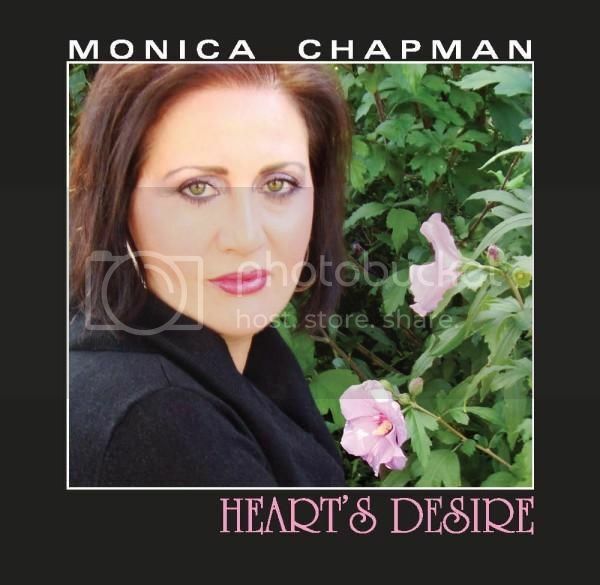 Chase Von Interviews Jazz Sensation Monica Chapman! Chase Von: Well "Hello" Monica and on behalf of myself and the Student Operated Press, I truly thank you for finding the time to share yourself with our readers. I love your song Autumn Leaves and look forward to learning about what you`ve been up to recently as it`s been a while since we communicated. So thanks again for making room for this interview Lady! Monica Chapman: The pleasure is all mine Chase. I am honored by your support in both me and my music and I am deeply touched that you love my song "Autumn Leaves" that I dedicated to my late Father Adrian, one of the biggest musical influences as I was growing up and who was the one who discovered my gift for singing and music at the young age of two and encouraged me to pursue my dream! Chase Von: Before we get into what you`re currently working on, from your interviews with my mentor here, Award Winning Journalist Judyth Piazza, (who I call Mighty J), lovely singer, actress, model and also interviewer and all around Joan of all trades, Kerri Edleman, Talent Spotlight Magazine founder as well as our mutual friend Jessica Gilbert and knowing you over the years and other sources means I know quite---- A bit about you! (Smile). But for the benefit of our readers can you tell us about your childhood years? Where you grew up and how music came to be such a driving force in your life? 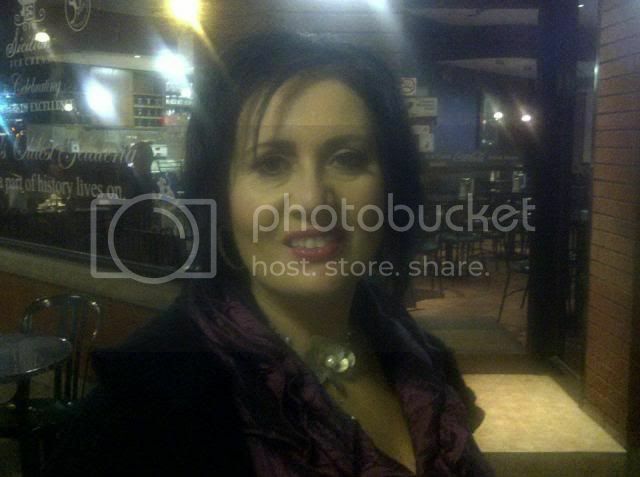 Monica Chapman: Sure thing, I was born in Bucharest Romania to a very loving and supportive family. Music was always playing in our house. My Father discovered my singing talents at the age of two and quickly realized I had a gift when he observed how music drew me in whenever he would turn on the radio. I would learn songs from the singers of the day and my Father would accompany me on mandolin. We would perform for family and friends throughout my childhood, from the age of 3 1/2 to 9 1/2 at which time we immigrated to Canada by boat and landed in Montreal. Chase Von: My last go around I had the opportunity to work with some Romanian soldiers, great guys and one even showed me some marks on his neck--- Think they were just pulling my leg but have you been back there since becoming an adult? And what are some of the stories you`ve heard about vampires etc? That is close to Transylvania right? Monica Chapman: Hahaha......to answer your question Chase, my parents and I haven`t been back to Romania since we left but I would love to go back now in my adult married life and see where I was born. Transylvania is close to where I was born and it is where the vampire story was born but my parents never told me any stories about it growing up. Chase Von: (Smile), now on to more serious things. Growing up in Canada from the age of nine had to be tough because you had to also learn another language. From what I understand you speak four of them now! I might be interviewing another prodigy like yourself in the near future. Singer, actress, author and production company owner, child prodigy Shanaya Fastje http://www.shanayafastje.com/ who graduated High School when she was 13 years old and who has also written four books, one of which is about Bullying and Self Esteem. " Did you experience any of that (Bullying) when you came to Canada? And all the things I`ve heard you perform have been in English but do you also have music recorded in other languages? And I can guess Romanian and English but what are the other languages that you speak? Monica Chapman: WOW! Thanks for the great compliment Chase! I actually speak 5 languages fluently, and I spoke 3 before coming to Canada. I didn`t speak a word of English when my parents and I came to Canada and you are right, it was very difficult for me at first not knowing the language but I had to learn it very quickly as my English teacher in Gr. 4 didn`t cut me any slack! Fortunately I picked it up in no time and no, I didn`t experience any "Bullying." I speak Romanian, French, Hebrew, English and Italian and also learned German in public school but don`t get the opportunity to speak it much. I come from classical/musical theatre background in piano and voice and I was given music to sing in French, Italian, German and English in my classical and opera voice studies and I sing a few songs in French on my upcoming CD as well as my first 4-track EP with the song you love so much, "Autumn Leaves" where I start it off in French and then continue in English. Chase Von: Your accomplishments and resume are outstanding Monica! You attained a degree in piano performance and voice at the Royal Conservatory of Music of Toronto, a Bachelor of Arts Degree from York University. Last I heard, Autumn Leaves was number one on Reverbnation or it had at some point reached the number one spot! Additionally, you have been backed by talented musicians Norm Amadio, Tony Quarrington, Jordan Klapman, Jack Zorawski, Glenn Anderson and Igor Babich to name a few. 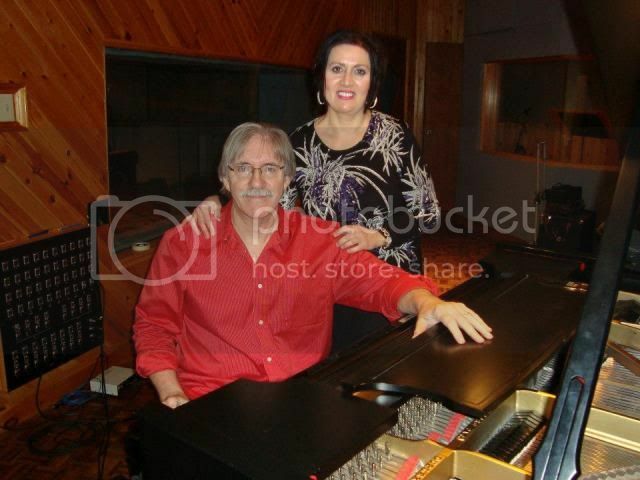 You`ve recorded a CD titled Sincerely, featuring Broadway show tunes and again, we`ll get to the one you`re working on just a little later but also, my co author Betty Dravis who did Dream Reachers and Dream Reachers II with me just recently gave you a prestigious Betty Award! (Smile). Bare with me but this is a favorite of mine although not verbatim, "What did you get Lucy? A Candy Apple! How about you Linus? Some Gum Drops! How about you Pig Pen? Some chewing gum! How about you Chase? A rock!" (Smile). Sharing that because well, I didn`t get no Betty Award.... Just kidding but I heard you say in your interview with Zack Brenneman something to the affect that you weren`t singing to become rich and famous. You sing because you love to sing! But wouldn`t you say if you`re doing what you love as I`ve heard, you`ll never really work a day in your life and also, that fame and fortune could indeed come in larger waves if you do what you love, and love what you do? Monica Chapman Working the Crowd! Monica Chapman: That is correct Chase, the interview you speak of was done by Zack Brenneman who interviewed me for the International Talent Magazine. " I am overwhelmed by the outpour of love and support I`ve received from many fans around the world, as well as family and friends and honored that I`ve been in the #1 spot on Reverbnation Music Charts for Toronto Canada for the past 2 years until present for my jazz 4-track EP "Heart`s Desire", with "Autumn Leaves" making it to #1 and played on many radio stations worldwide. When Betty recently announced that I received a "Betty award" for favorite jazz singer of 2012 I was blown away and very honored and grateful that she holds me in such high esteem amongst the other amazing artists that received this award! 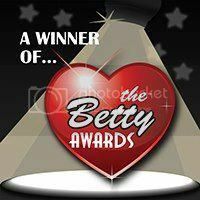 I thank Betty wholeheartedly for this great honor! I am deeply touched by her undying support and I thank you as well Chase...... Both you and Betty wrote me such a beautiful review on Amazon..... Thank you so much! Yes, I`ve been very fortunate to be working with some of the finest renowned musicians in Canada on my first jazz EP and my upcoming full 12-track debut jazz CD, as well as in "live" performances! What you say is the truth about my motivation for singing, recording and performing. It has always been my passion in life since I was two years old growing up in Romania and using the bathroom as my stage! You see Chase, we lived in a building that was an "Open Concept" and the neighbors quickly came to expect me entertaining them by shutting the bathroom door and using that space as my "Stage." I would go in at the same time every day for that reason only.... to perform..... and would transport myself in another world from that very early age and sing my heart out. At the end of every performance, the neighbors would clap enthusiastically and cheer for me! To this day I love to entertain audiences and see the joy on their faces. I love the stage! That is my reason for singing and performing! It gives me great pleasure and satisfaction, not the fame aspect of it. Chase Von: I always try and ask a current events question Monica. Where do I go though because there is so much happening these days it`s like playing whack a mole! But what do you make of the recent threats being made by the Korean Leader? 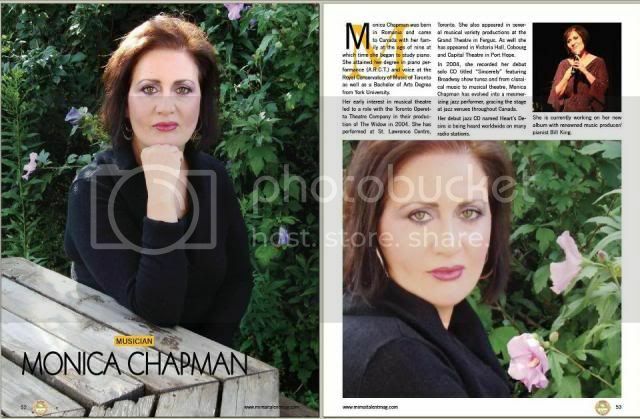 Monica Chapman: I am so sorry Chase but I`m afraid I can`t answer that question as politics has never been my strong suite and I have been working hard on my music in the past year and trying to stay focused on completing my debut jazz CD! Chase Von: Ah, Ummm... Well... OK..., moving right along then. (Smile). 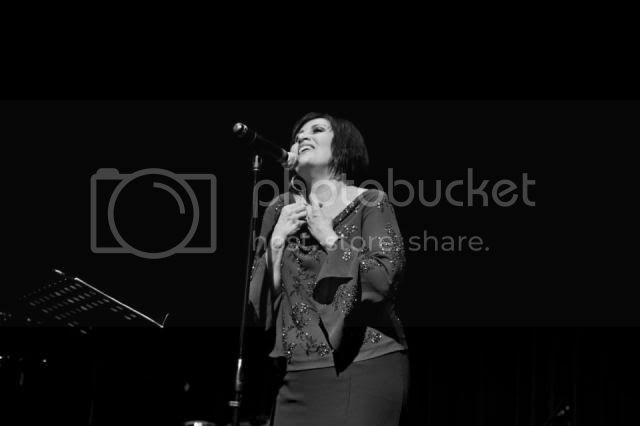 If fans want to learn more about you Monica, can you share some of your websites and I also saw where you`re going to be performing in California in the near future, can you give our readers in that area the dates and time for your show? My concert is still in the works Chase so I can`t disclose a definite date and time until it is finalized but I am also hoping to sing at a great jazz venue in NYC, Italy and France and do a cross Canada tour once my CD is released this Spring of 2013! I am so excited about this CD. Bill King produced it and he brought in the finest musicians in Canada to play on it! I haven`t mentioned to you that I will also have a new website soon, created and hosted by the very talented Jessica Gilbert who will also be interviewing me for the second time about my upcoming CD and I will be featured in the April issue of "Talent Spotlight Magazine." It will be completed by the time my CD will be released, and will be www.monicachapman.net . It is under construction at the moment! Chase Von: What is your ultimate goal Monica and how supportive are your family and friends of your dreams? Article on Monica in the November 2012 issue of the Miami Talent Magazine! 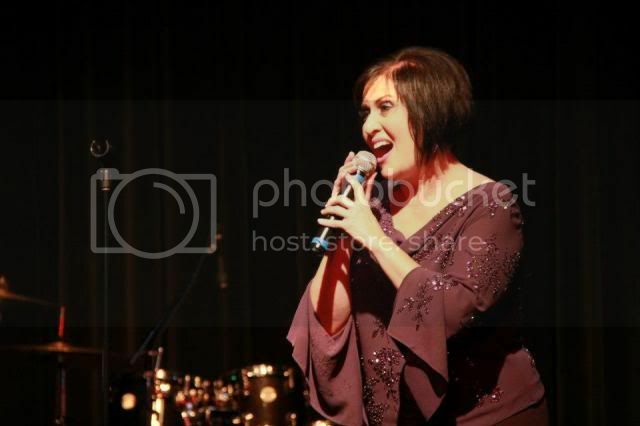 Monica Chapman: My ultimate goal is to continue putting smiles on peoples` faces with my music and to sing in great jazz venues and Jazz Festivals worldwide, including the Montreal and Toronto Jazz Festivals! That would be my goal and a dream come true for me and my family is very supportive! Chase Von: I always ask the ones I interview what their favorite meals are. (Smile). What are some of yours and also how do you go about keeping your voice in tip top condition? Monica Chapman: I love thin crust pizza with black olives, red onions, prosciutto and green pepper, Muscles in tomato sauce (love dipping Italian bread in the sauce) and Veal in red wine sauce with roasted potatoes and green beans and Caesar salad. I keep my voice in shape by vocalizing daily and practicing diligently, refining my songs going over each phrase until it sounds smooth and flawless, drink lots of jasmine green tea and water and daily work outs at the gym. Chase Von: You just made me hungry! (Heh, Heh). How important are dreams to you? And what would you say if you were standing before a microphone that could be heard by every child on the planet, and regardless of what language they spoke, they would understand you? What positive advice would you give the children, if that were possible? Monica Chapman: Dreams are very important to me. We all need to have the right to dream. Without dreams life is not worth living! Music is an international language that is felt and understood by children and adults alike. If I were standing before a microphone that could be heard by every child on the planet, regardless of what language they spoke they would understand me because I sing from the heart and I give it everything I have and that is my dream Chase, to be able to touch children and people all over the world with my music and make a difference in their lives. What I would say to them is to never give up on their dreams and dream big because if they want it badly enough, anything and everything is possible and they too can make their dreams come true! Chase Von: Who are some of the people in the music of old that you truly admire and believe have influenced your own style or inspired you as a singer? Also, who are some of the more contemporary artist that you admire? Monica Chapman: That`s a good question Chase, I have been greatly influenced by Sarah Vaughan, Ella Fitzgerald, Frank Sinatra, Judy Garland, Chet Baker, Billie Holiday, Carmen McRae, Doris Day, Shirley Horn, Mel Torme and Nat King Cole to name a few. Some of the contemporary artists that I admire today are Amy Winehouse (who is gone too soon! ), Jane Monheit, Barbra Streisand, Natalie Cole, Karrin Allyson, Dianne Reeves, Michael Buble`, Dee Dee Bridgewater, Roberta Gambarini and Melody Gardot just to name a few. Chase Von: Do you enjoy being in the studio as much as you do performing for live audiences? And also, can you fill me and the readers in on your new project? Who you`re working with and how you feel it is coming along? I have your previous one myself as you know... (Smile). Duncan Hopkins bass, Mark Kelso/drums, Anne Lindsey/violin, William Sperendei/trumpet, Reg Schwager/guitar and Papiosco/percussion. This is a dream team put together by Bill King and we recorded at `Inception Sound Studio. I am excited to announce this CD is coming out in spring, 2013 and will be available on iTunes. 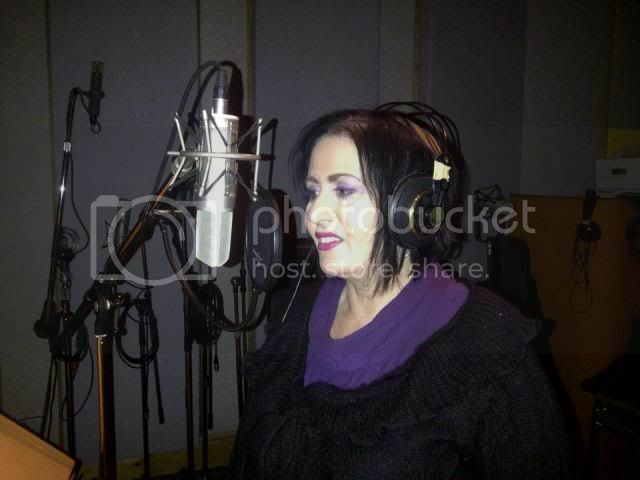 Recording is a much different experience than that of performing live on a stage but I have to say I enjoy them both. Naturally performing to a live audience gives me that rush and energy that I thrive on and being able to see people`s faces when I sing is my reward for all the hard work that goes into recording! Chase Von: I don`t recall hearing you doing any "Duets" Monica although I did hear the one guy singing some of the lyrics when you performed Autumn Leaves live and like yourself, he sounded great! Is that something you`ve done? And if not, is that something you might be doing in the future? Monica Chapman: Yes, for sure! 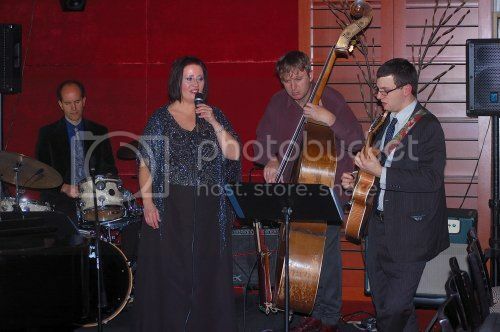 I have sung duets in some of my shows like the one with Jim Gelcer, the talented drummer/singer and it was a lot of fun! Chase Von: Well Monica, we`ve known each other for years, (Time sure seems to have sped up these days), but I`ve still learned a bit more I didn`t know and about your drive to succeed in this interview. (Smile). I`m wishing you continued success and I know we`ll remain in touch. Blessings to you and yours and thanks again for finding time to share yourself with our readers! Monica Chapman: Heartfelt thanks to you Chase for your interest and support. It is an honor and a pleasure and I really enjoyed our interview together! I will be sure to send you a copy of my new CD just as soon as it`s published and I wish you and yours a Happy Easter and all the best!